TSA Series ATA molded polyethylene case for dreadnaught acoustic guitars. 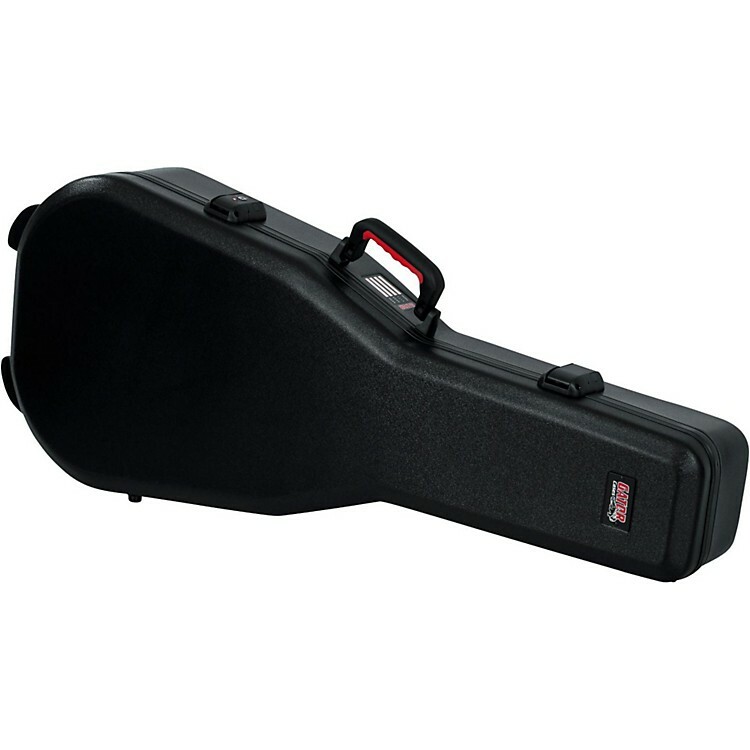 Plush-lined hardshell case for acoustic guitars, fits most models. ATA case with TSA latches, easy air travel, great for local transport as well. Lightweight, rigged and protective. Superior protection with lightweight construction and travel considerations. Order today.